It's that time of year when some of us become inspired by new challenges. A quick run around the world, for instance. 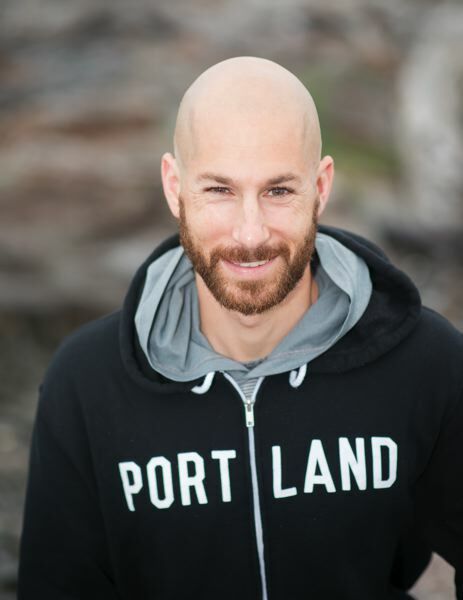 That's the challenge Portland native Jared Blank has embraced. The 35-year-old has entered the fourth edition of the World Marathon Challenge, where runners attempt to complete seven marathons in seven days — on seven continents. A lifelong runner, Blank's interest in the challenge was piqued when he saw highlights of the inaugural event, held in 2015. That interest grew stronger the more he learned about the event. "I found myself more and more inclined to follow it each year. The motivation to want to attempt it just didn't go away," he says. The fourth World Marathon Challenge begins with a marathon on Jan. 30 at Novo, Antarctica. It ends seven days later with a marathon in Miami. In between will be marathons in South Africa, Australia, United Arab Emirates, Portugal and Colombia. Last year, 33 runners completed the challenge. Blank went all-in this summer, quitting his job as the operations manager for the USC football program and returning to Portland to train full time. He will run representing Team Quest, an endurance training and fundraising program of the International Dyslexia Association. Diagnosed with dyslexia at age 5, Blank overcame his learning challenges to earn a master's degree in communication management from USC and his MBA from Seattle Pacific. "My hope is that through my story, students learn that they are not alone, that there are people out there who have dyslexia and it is not a limiting factor," Blank says. In addition to dyslexia, Blank was diagnosed at a young age with sensory processing disorder, which made tasks that involved basic motor skills a challenge. "As long as someone tied my shoes and opened the car door for me and got me to the soccer field, I could play," he says. Occupational therapy helped with that, and he says his coordination improved with age and practice. Dyslexia forced Blank to spend long hours with his studies. As a young student, he taught himself that if he could study for three hours, stretching the session to four or five hours was doable. The study habits that helped him succeed in academics "really correlated in my experience with endurance sports," Blank says. Blank has completed eight marathons. He thought the 2016 Boston Marathon would be his crowning achievement, but found himself seeking new challenges. He is excited about trying to "run around the world." 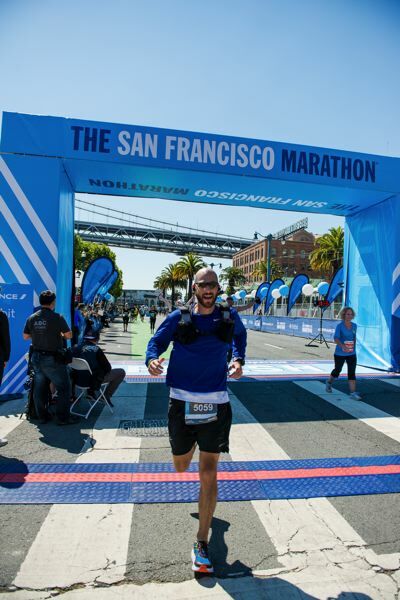 In July, Blank completed a 52.4-mile ultra-marathon that involved running the San Francisco Marathon course backward during the night before joining the regular marathon field in the morning. That same week, he ran the Jack & Jill Downhill Marathon near Seattle to see how his body would respond. "I came out healthy for the most part. I struggled the last six miles of the Jack & Jill Downhill. I think it was just the end of a hard week," Blank says. "All in all, it was a great experience." It takes more than incredible desire and drive to take on the World Marathon Challenge. It costs $42,000 to enter. That covers all meals, lodging and charter flights for the globetrotting footrace. The price does not include travel to the start of the race or home from Miami. Blank enlisted ultra-marathoner and running coach Yassine Diboun to guide his training. "When he approached me about this, that even got my eyebrows to raise," Diboun says. "l'm in a circle of people who do crazy, extreme stuff like this, but this was new. I've heard of it, but I never anticipated coaching somebody for it. I was immediately excited and up for the experience and the challenge." Diboun put Blank on a program similar to the way he trains clients for ultra-marathons. To prepare Blank's body for the pounding, "I have him doing lots of different types of terrain — up hills, down hills, trails and roads. I have him going at different intensity levels, and I have him doing some back-to-back long runs," Diboun says. The key is training the mind to keep going when the legs don't want to continue. Diboun says science shows humans can endure much more than their brain might tell them. "There's always going to be that little voice in your head that says: 'This is irrational,'" Diboun says. "What good endurance athletes have been able to do is to constantly override what they call the Central Governor in your brain. "The Central Governor is always conservative. It's always going to tell you to stop way before you really need to." In addition to being motivated to demonstrate to others with dyslexia that they can dream big, Blank has a training edge on most ultra-marathoners. "A lot of times when I train people for these extreme events, it's very difficult to find balance if you have a full-time job or a family," Diboun says. "The fact that he is a single guy who lives right up the street from me and doesn't have a lot of distractions in his life right now made it easier." Blank has plenty of planning experience. He spent 12 years on the logistics side of college football, serving as the football operations specialist at both USC and Washington. "It should be called the Director of Not Football Operations," he says with a laugh. "It's all logistics. Planning meals, travel and working with different departments that touch the athletes." He quit the USC post in June and has spent the past seven months planning for a once-in-a-lifetime challenge. Blank missed the relationships with the athletes and with colleagues in the athletic department but was too immersed in his preparations to miss being around college football. The miles on Forest Park trails and Portland streets have been fun for his "creative spirit." And he enjoys running in any weather. "Having that Oregon blood keeps me grounded with the weather conditions," he says. Equally important — and perhaps more challenging — than getting in the miles of training work is "just staying on top of everything, with foam rolling and yoga and those things that really enhance running." Perhaps the biggest unknown for Blank is how his body will react between races. He hopes he'll be tired enough to sleep during the flights. He and Diboun have discussed strategies for recovering during those flights. "We're going to run through a little cycle of dynamic stretches that we can do so you don't stiffen up on the planes," Diboun says. The use of compression sleeves and socks and implements designed to help flush toxins from muscles will be part of the strategy. Diboun recently completed a big challenge of his own. On Jan. 13 in Hawaii, Diboun ran the Hurt 100 ultra-marathon for the third time. Diboun says Blank is prepared for the World Marathon Challenge. "He's done great. He's very committed. He's very disciplined. He's very driven, and he's very passionate about the dyslexia association," Diboun says. Six months of planning and training behind him, Blank says his excitement is growing. "There's still a lot of work to be done leading up to it," he says. But I'm excited for the opportunity and feel fortunate to have it."